This bronze menorah was designed for Russia’s National War Memorial. It is based on the candelabra depicted on the Arch of Titus, Rome, which shows the looting of the Temple by the Roman army. 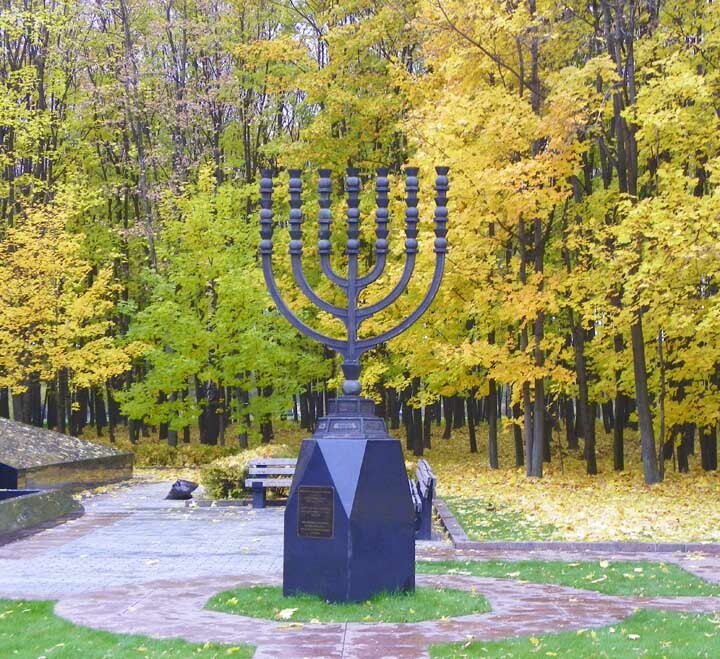 The Menorah is situated outside The Memorial Synagogue on the Hill of Reverence commemorating the 250,000 Jewish soldiers of the Russian Army who fell in the 2nd World War.